Uncanny resemblance to our rival, Can't State. Both Iowa and Can't are located to the east of Iowa State/Akron, and both Iowa and Can't have pee-yellow in their color scheme. It's like you were meant to be a part-time Akron fan! I'm much more than just a part-time Zips fan. I'm probably just a few hours per week (or a few weeks per year) short of being full-time! I'm not sure I like the look though. Am I the only one? No, I'm not a fan either. I was gonna say that I'll bet the kids love it. I retweeted it & Devanier Floyd almost immediately "Liked" the retweet. 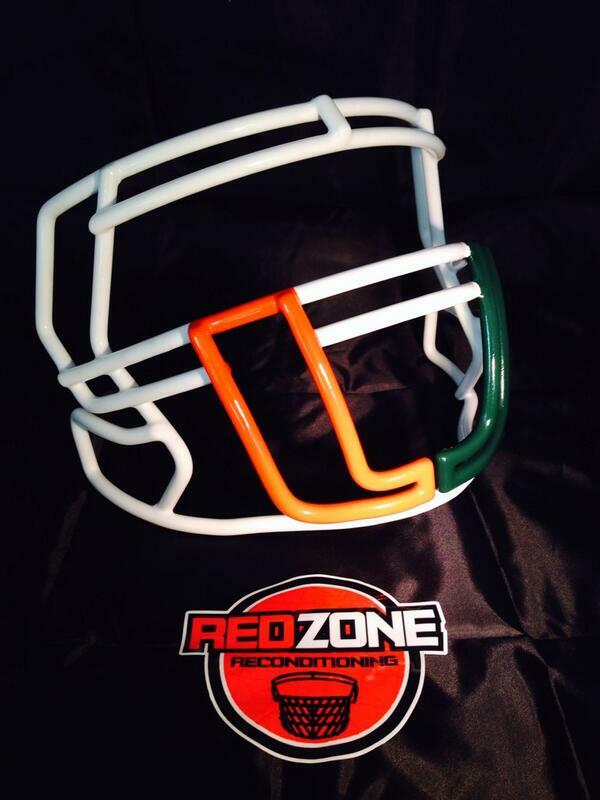 But a bit later Zips Equipment tweeted that it's not going to be used in-game; just a recruiting tool. 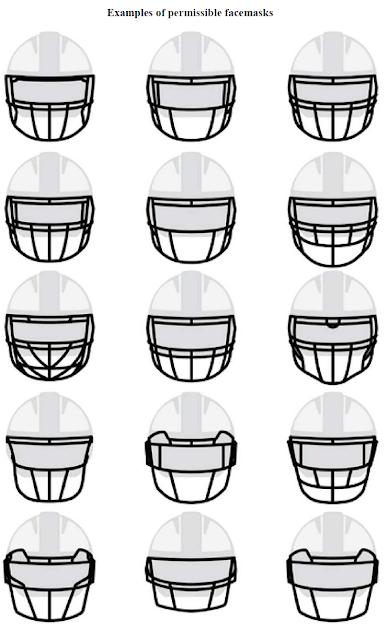 In 2015 the NCAA put strict guidelines on which types of facemasks are allowed to be worn. A lot of schools pay around with fun designs, but they are only allowed for show. Will look real nice on matte navy full Roo helmets! !